Bankruptcy asset sales of used convertible containers. Make your bid! Convertible container carriers are the most efficient solution for handling materials and facilitating garbage disposal. The container, unfastened from the truck, is a practical loading area that takes up little space and is easily transportable. If you want to buy new equipment and machinery without spending too much, attend the judicial auctions of used convertible container carriers on Industrial Discount! You will be able to make an advantageous and cost-effective investment for your business, as all the lots come from bankruptcy procedures and thus have a price much lower than their market value, guaranteeing an amazing saving! Our online auction system gives you all the benefits you are looking for: you can bid directly from the comfort of your home or office, with no need to travel to reach the auction spot. Each item is provided with a full description, technical specifications and sale documents, that you can download and review at any time. Also, you can always contact the auction agent, whose details are provided on the auction sheet, to ask for more information and make an appointment for an inspection of the item you are interested in. 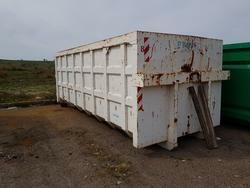 Find your used convertible container carrier on Industrial Discount! We have structured our sales in 2 phases to meet the needs of companies of all types and sizes. During the first phase, you can bid on a single item; while during the second phase, which lasts about 10 minutes, you can bid for the entire set of assets. If there are no bids during the second phase, the winners of the first phase are confirmed and can buy the items. Don't miss out on this opportunity, register for free and make your offer to get the best used convertible container carriers at the cheapest price! 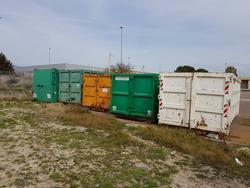 Do you want to stay updated about the upcoming auctions of used convertible container carriers on our website? Subscribe to our newsletter! You will receive a weekly email showing new items for sale.